THE MOST EFFICIENT HIGH DENSITY COOLING - TESTED! The CD6 cooling distribution unit (CDU) is recognized as a stand-out system in petascale supercomputer facility design. A single CD6 can provide cooling water for up to 20 RDHx. It controls the flow of clean, treated water at above dew point to ensure condensation-free operation. 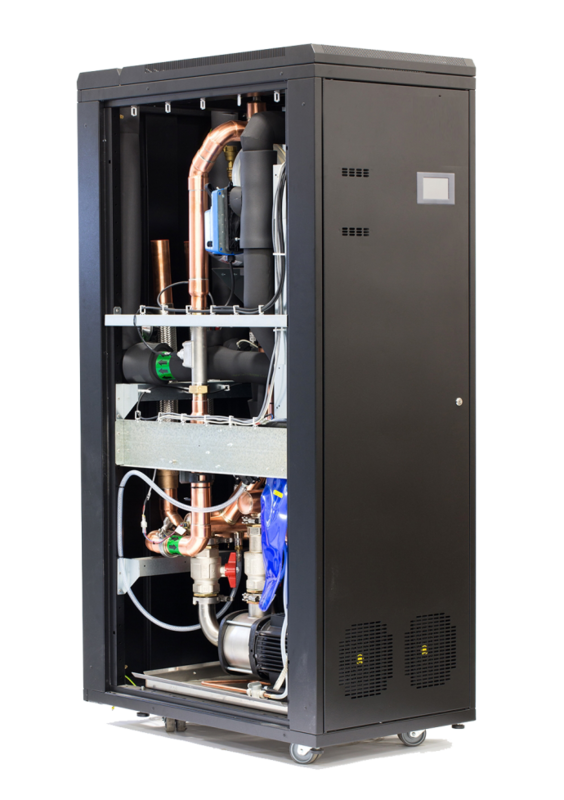 This model is capable of up to 305 kW of cooling capacity and can deliver 260 kW of cooling in less than 1 m² of space. The Silicon Valley Leadership Group found that this system uses just 20% of the energy used by other conventional close-control air conditioning systems. Optional internal manifold with leak-free, quick-release couplings allows connections of up to eight racks with heat loads of up to 30kW. 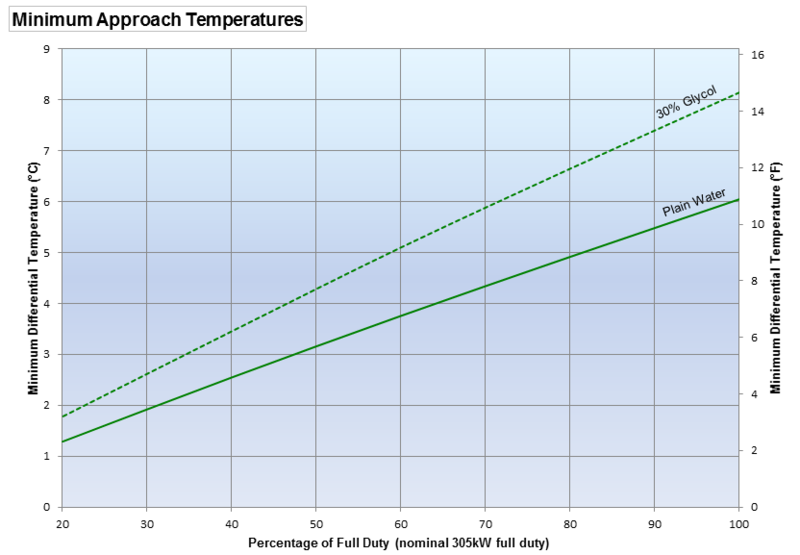 Only 4kW of power provides 305 kW of cooling output. 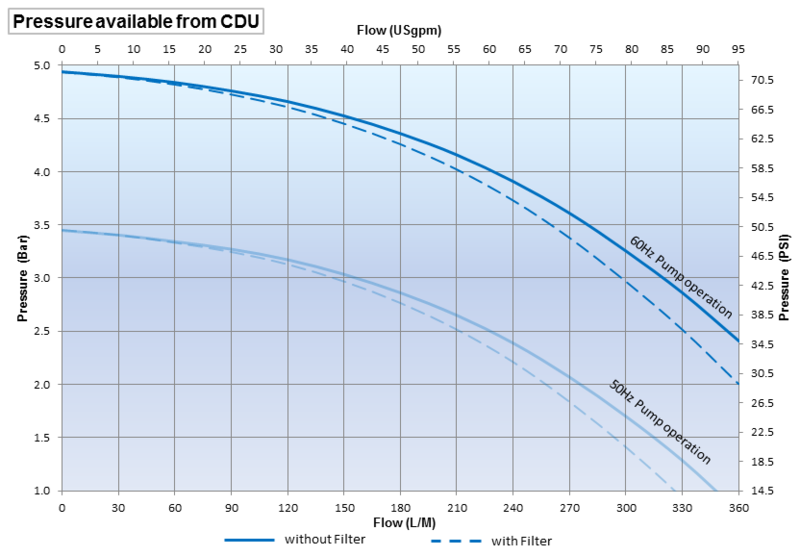 Plug-and-play manifold provides scalability and a white space flexibility upgrade path. Essential monitoring of racks and system. Features full alarm monitoring and connectivity; and a Modbus + SNMPv3. Water flow is controlled to maintain optimum operation while reducing energy use by up to 90% or more. No potentially unreliable condensate pumps required.